Harley is my fifth beach hut purchase and my quickest turnaround yet. I made an offer on the beach hut on the (6th July) and welcomed my first beach hut hire guests on the 30th July. A record of 23 days between beach hut purchase to hiring out. I was actually out of the country for 6 of those days, making it even more of a surprise that I did it in that timeframe. So how did I achieve this? Didn’t I take several months to renovate both Millie and Isla? You’d be right to wonder how. I hadn’t bought a beach hut that could literally have a key lock added to the side and be hired out. Harley required a full gutting out and large pieces of work to be undertaken before being able to decorate. Maybe it was the fact that the school holidays were due to start that forced a quicker pace or maybe I’m clearer re our style and contents. In reality, it was a bit of both. However, it has made me realise it’s possible. No matter how late in the summer you think it is, you can turnaround around a beach hut in just 3 weeks. Here are my top 10 tips to ensure that you can start generating income to cover those outlay costs asap too. One of the delays I’ve experienced previously when buying and selling beach huts is when the purchaser doesn’t have immediate access to the funds required. It’s important that you have cash available and be prepared to put down a deposit to secure. Merely making an offer to pay a deposit can help you secure your dream beach hut. if you have funds available, then do consider agreeing to scan copies of transfer forms and lodge these with the estate agent or each other whilst funds are transferred. Many councils will require a cheque to be issued with transfer form (tends to sit with the buyer to pay). This can be done very quickly. With Harley, I had funds set aside and was able to transfer the day after having a price agreed. The estate agent had a copy of the form scanned in and emailed over with funds cleared. This helped greatly with agreeing to pick up keys for work to start on the building the following week. You could spend days going back and forth re a suitable price. You may also find the seller drags their heels with signing paperwork if they feel aggrieved re the price they are paying. I’d taken some time to keep up to date with the Beach Hut Association regarding beach huts which were being sold and the final prices agreed. From that I was able to get a great sense of it seems to be standard practice for the price to be negotiated within £2k (beach huts around the £12k to £15k price mark). 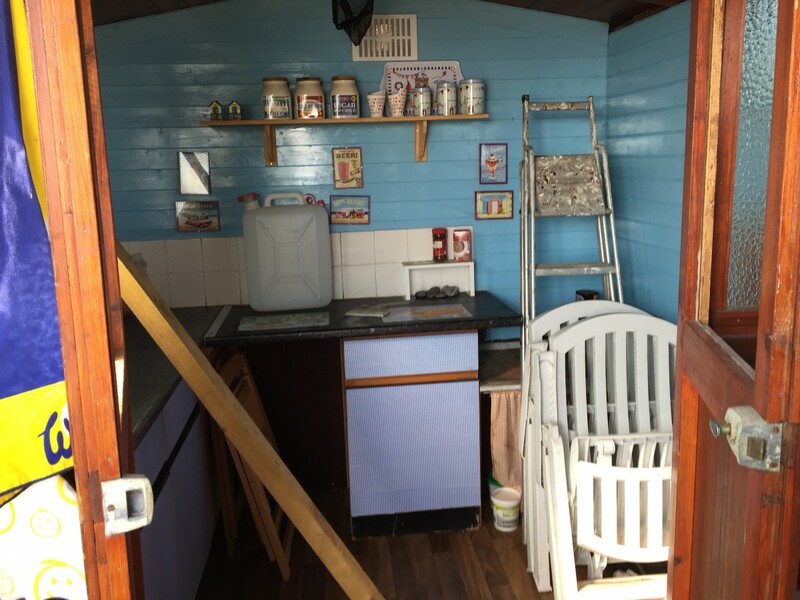 Harley was on the market at £12,500 and I took some time to ask initial questions to ensure the seller was aware that work required to bring the beach hut up to standard. I offered £10,000 and within an hour was asked if I could stretch at £10,500 which I agreed to. As good old Kirsty and Phil would recommend, this was with the caveat of the beach hut being removed from their website and all advertising stopped with an agreement to push on paperwork. Being respectful whilst asking for help when pushing through a sale through is key. Whilst I didn’t have Mark from Ten Huts Ltd lined up in advance to start this scale of work, I had started to work with him re small jobs on my other huts. Whilst the paperwork was being agreed, I ask Mark to have a good look over the beach hut and provide a quote. He was able to do this before I even had the keys handed over. I didn’t have to call around several builders and/or get quotes as I wanted to work with Mark based on both his reputation and previous experience. This saved a significant amount of time in person at the beach hut too. If you don’t already know someone and expect to be taking on a beach hut that will require work, then do your research up front. You could ask for quotes for standard items (roof felt replacement for e.g) and also obtain their current waiting times to complete any work that you may need. In initial discussions with Mark, I was clear that whilst I wanted to ensure the beach hut was up to our normal standards, that opening for the school holidays was key. He really took this on board and whilst I’d already made some decisions re the work (like delaying the addition of storm doors until post summer), he provided me with two quotes. One a full list of work that should be completed and the second with ‘must’ do now and the rest could be completed later to save precious time. This allowed us to have a good discussion about not doubling up on costs at a later date but also ensuring that we minimised the time required to complete. As this was my fifth beach hut purchase, I have a standard list of interior items that are a ‘must’ add for a beach hut hire. This includes the basics such as gas stove (plus spare gas stove and gas) right through to some of the finishing touches that I always add to one of my beach hut hires (e.g. Jean Jean soft toy from Moulin Roty). As soon as you know you have secured your beach hut purchase, I’d recommend working through this list and ordering asap. There are key items which may take some time to arrive unless you wish to pay for express delivery. If you’ve categorised these into must have/versus like to have (could be added later), then you’ll find this much easier. As a hint – gas stove and gas are on the ‘must’ list! For anything you that feel you will struggle with waiting times or if you are looking to reduce costs, then I’d suggest pilfering from your own home. For Harley, I’ve actually used a day bed from a spare room as I could not order one at the same price which would have guaranteed delivery in the time required. I have ordered a replacement but it meant that I felt less stressed and knew that a key piece of furniture was in place to be moved into the beach hut. I also used several wall decor items from my study to fill gaps as many are handmade by small businesses and take time to arrive. Yes, I really said two trips! For the first trip – hire a very large van for all furniture, interior decor items, and contents that you plan to put into the beach hut. Do try and have 99% of your interior on the first trip with you. But why a second trip if you’re aiming to complete in full on the first trip? No matter what, you will forget something, leave it at home or it won’t arrive in time. If you unpack and spend some time in your beach hut, this final ‘omg, I’ve forgotten’ moments will come to you. Knowing you have a second trip down will mean that you can spend some time getting a feel of the beach hut and create a final checklist for those last minute additions. Nothing worse than running back and forward to your beach hut wasting precious time. If you have hired out a beach hut before, then I’d strongly recommend approaching your regular guests with view to booking out some dates pre full sale. This doesn’t need to be at a discounted price as merely a method to ensure that when you do go live with sales, people see that there is already a demand for the beach hut. I personally did this by using my weekly newsletter list. I let them in on a ‘secret’ early on and kept them up to speed with progress and a competition to be the first guests (see #10 below). By the time I went fully live to everyone with dates, around 20% of the dates were already booked out and created a great buzz around the launch. Good photography is key along with a video to show off your beach hut. 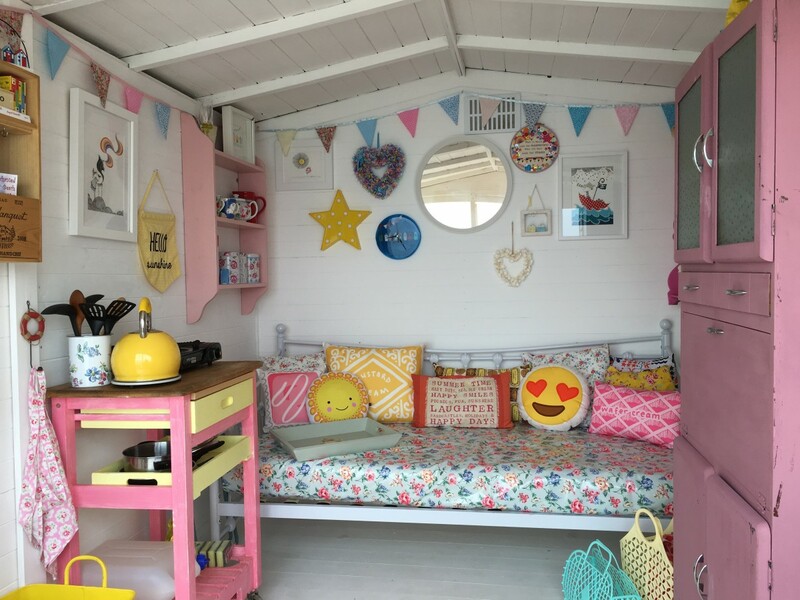 Dress your beach hut as if it’s being used and take time with your photographs. If you take your time to think through some pictures, this will make all the difference. I’m a huge advocate of the Snapseed app which can help transform a picture, no matter what the light is. Just search snapseed on the app finder. If you can, then do consider a professional photographer – this will make all the difference. So you’ve taken pictures and you are ready to advertise but will those customers come? In my experience, with sell out summers under my belt, nothing sells a beach hut like guests seeing other people actually in your beach hut enjoying their day. If you are new to beach hut hire, it can be slow to start with, whilst customers learn to trust you. I personally recommend setting up some ‘test’ guests. Whether that’s friends, family or actual guests, you can trade a day for honest feedback and testing out your new hut. As mentioned above, I turned to my newsletter list for this and gave away the first two opening dates and believe this has paid back ten fold since doing so. Not only have both guest given me some great feedback (how did I forget our guest books!!!) but they have been so proud to be the first guests and generated substantial PR. Remember that ‘trial’ guests also give you an excuse to set up your beach hut for the day (and take those pictures). Worth it alone! If you’ve made it through all 10 steps, then I can guarantee that you will have completed the process in a much shorter timescale. It may even have been less stressful. Huge congrats on doing so and now you can take a seat and enjoy what you’ve created! Note if you already own your own beach hut and thinking about hiring it out then you could skip numbers 1 and 2. 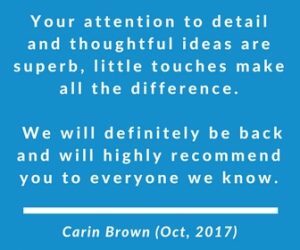 However, it may still be worth considering reviewing your beach hut for any building/renovation work or even a paint refresh. This may increase the price you can charge for a days beach hut hire and therefore worthwhile doing up front. It may also ensure you guarantee repeat customers year on year, therefore reducing time on marketing your beach hut for hire. Please do however ensure that your local council conditions allow beach hut hire. If you are a beach hut owner, then you may also wish to join the only facebook group dedicated just to UK Beach Hut owners – it’s a fab group trading tips and those painful moments too. So whether you are looking to buy a beach hut and cover your costs via hiring out or already own one and thinking about hiring out, then do just shout if I can help or share my experiences with you. In the meantime, you may wish to start with my blog on do’s and don’t of buying your first beach hut. Happy beach ‘hutting’ and good luck. You will soon be turning your beach hut purchase to hiring out success!